Driving down the street in the… mini-truck!!! We’ve seen people playing with miniatures but this one exceeds all our expectations! 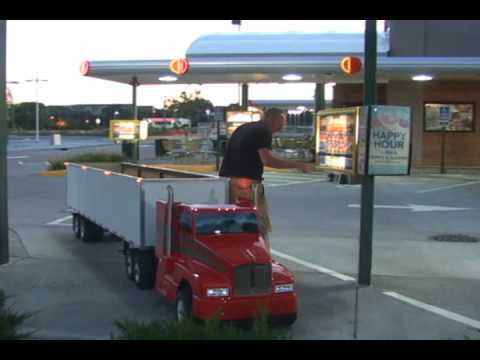 A Kenworth semi miniature that gets to run the streets with the owner all happy driving it! Some choose convertibles, buggys, others… mini-trucks!